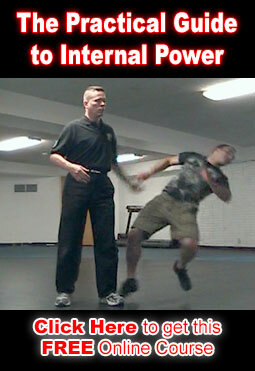 The first alive hands drill is to practice throwing whip hands and retracting body slaps that in application are open hand blocks that pull your opponent closer into your whip hand eye shots while turning them into a difficult position to do anything about it. 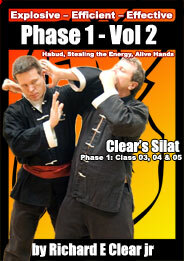 The 2nd alive hands drill is to practice alive hands using your partner as the contact surface so that your hands retract to them and do not return to the surface of your own body. The 3rd alive hands drill is to practice throwing the hits off of the air so that the extent of your physical reach in the air is where your hit bounces off of and you alternate hands so that as soon as one hand hits the farthest point in front of you is when the hands alternate. The retracting hand should be no closer to you than your extended elbow at the point of change from retraction to whipping. When performing this last drill your hands tend to look like you are working two yo-yos at the same time or that you are dribbling two basketballs off of the wall in front of you. The first alive hands drill is practiced in various ways to build your coordination, ability and speed. 1. Drill #1 Solo in the air practice throwing continuous bouncing off of your own body hand whips and retracting open hand blocks. 2. Perform drill # 1 but move around more. Walk and change the position of your feet while you are doing it. Change where your retracting hand makes contact with your own body so that there is a lot of change in position and placement. Think about flanking someone and continually striking and blocking while moving like this. 3. Continue to do drill # 1 but choose a hand to alternately strike their eyes and then bounce off of your body to strike to their groin and then back to their eyes again etc.. The other hand bounces straight out in front of you and then back to your chest and then straight back in front of you. Once you have it basically going on you will see that there is a hand coordination that you learn from doing this. Now do it faster and faster until you can go fast enough that the naked eye cannot keep up with your striking speed. 4. Alternately pass and bounce your hands. Both hands are whipping and retracting in front of you. The first pass of your hands is like drill # 1. The second time your hands do not pass but instead at the half way point between yourself and your fully extended arm your retracting hand bounces off of the back of your whipping hand so that the hands both change direction at the same time. Now your hand that was retracting becomes a whip hand again and your whipping hand becomes a retracting hand again. This is training so that if you get blocked you simply change direction instead of trying to force your way through. This is so that you change direction and go around them faster than they can adjust to your change in direction. Once again do this drill to the point of blinding speed. 5. Perform the last drill alternately passing and bouncing with both hands but move around more. Walk and change the position of your feet while you are doing it. Change where your retracting hand makes contact with your own body so that there is a lot of change in position and placement. Think about flanking someone and continually striking and blocking while moving like this.